A little bit of theatrical putty, a wig… as a portrait artist, I find the resemblance to be absolutely uncanny. 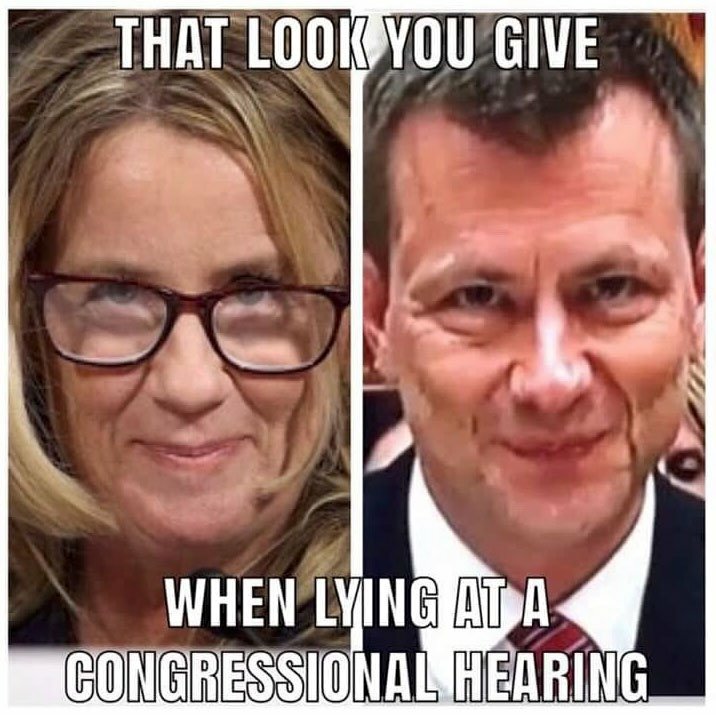 It is said Ford’s family have had lengthy connections to the CIA and that she heads a CIA training program at Stanford – and her family is somehow related to his. Wild times we live in, no? This is bad. Very bad. One could hardly imagine a more explosive situation, ripe for a false flag to either overturn the chessboard via war or economic implosion, assassinate trump or make him look bad. His private security detail (not the secret service) is the only thing that’s kept him alive thus far. As I’ve said many times, you don’t have to be a Trumpster to support the last chance this country has to avoid being absorbed into the nazi central banksters’ NWO project. If the US falls, so will the rest of the world, either in flames or in submission. Judging unknowns by their enemies is a good strategy in the present day, and by that standard Trump is a godsend, for all his oligarchic tendencies. In other words, he’s not a bloodthirsty torture-marketing pedophilic genocidal satanist. Not hard to choose sides on this one. For some time now, consumers have been made aware of the dangers of Bisphenol A (BPA), a chemical used in many types of containers, including in baby bottles. BPA is used to harden plastics, prevent contamination of foods, and to stop cans from rusting. In recent years, several studies have confirmed that BPA affects endocrine function (hormonal balance) in animals and humans, and new moms have been warned to avoid baby bottles that contain this chemical and to take other steps like not boiling polycarbonate bottles or heating them in the microwave. While most health-conscious individuals carefully avoid plastics and other containers which are made with BPA, many of us are unaware that straws, plastic lids, ATM receipts, airline tickets and cash receipts also contain this chemical. And a shocking new study by researchers from Stockholm University and the University of Alberta has found that BPA absorbed through the skin when handling cash register paper lingers dangerously in the body. Research has linked BPA with causing an imbalance in the body’s hormones. The endocrine disruptor can negatively impact the metabolism, immune system and the reproductive system. It can even cause cancer. BPA is also linked with poor sperm quality, reproductive dysfunction, early puberty, thyroid problems, insulin resistance, heart disease, obesity and autoimmune diseases. It is especially toxic to developing babies in pregnant mothers due to its ability to raise the chances of a miscarriage, chromosomal errors and other genetic problems. For their study, the Stockholm and Alberta University researchers had participants handle cash receipts for five minutes, then don gloves for two hours before washing their hands. Urine levels of BPA were tested both before and after the test. Although BPA levels were highest within the first two minutes after the experiment, participants still had elevated levels of the chemical in their urine a full week later! On the other hand, when study participants were asked to eat cookies containing BPA, their urinary levels of BPA were elevated for five hours, but completely normalized within 24 hours. People who handle receipts frequently are believed to be more at risk. A cashier who used hand cream (which would enhance the permeability of the chemical) might sustain exposures approaching 50 micrograms per kilogram of body weight. People working in retail have 30 percent more BPA than other Americans. While the federal government has warned that 93 percent of Americans have BPA contamination, no warnings have been issued specifically related to retail receipts – an omission that needs to be addressed urgently so that consumers and workers alike can take steps to protect their health. Learn more about the dangerous chemicals in your life by visiting Toxins.news. CNN jumps gun on WTC7 collapse. No plane, minor oxygen-starved fire = free-fall implosion of steel-framed building? A man’s rights rests in three boxes: the ballot box, the jury box and the cartridge box.